After Texas Attorney General Ken Paxton insisted in a letter last week that Texas' anti-"sanctuary cities" bill would survive a legal challenge, immigration attorneys are trying to convince members of the Legislature that he's wrong. The office of the Texas Attorney General can no better predict when the Dallas Cowboys will win the Super Bowl than it can how an appeals court will rule on an immigration case that could have statewide repercussions. That assessment from Faye M. Kolly, a senior immigration attorney with De Mott, McChesney, Curtright, & Armendáriz LLP, comes in response to a letter Attorney General Ken Paxton sent to lawmakers earlier this month reassuring them that Senate Bill 4, which seeks to ban "sanctuary" counties and campuses in Texas, would withstand an inevitable court challenge. The bill by state Sen. Charles Perry, R-Lubbock, seeks to punish local entities if their law enforcement agencies fail to honor requests, known as detainers, from federal Immigration and Customs Enforcement officers to hand over immigrants in custody for possible deportation. It would also punish entities that enact policies preventing local law enforcement from asking about immigration status. Paxton’s reassurances — an unusual communication from the attorney general's office — came last week after a 16-hour-long hearing featuring testimony from various immigration attorneys, Kolly among them, warning that the bill would lead to costly lawsuits that Texas was likely to lose. 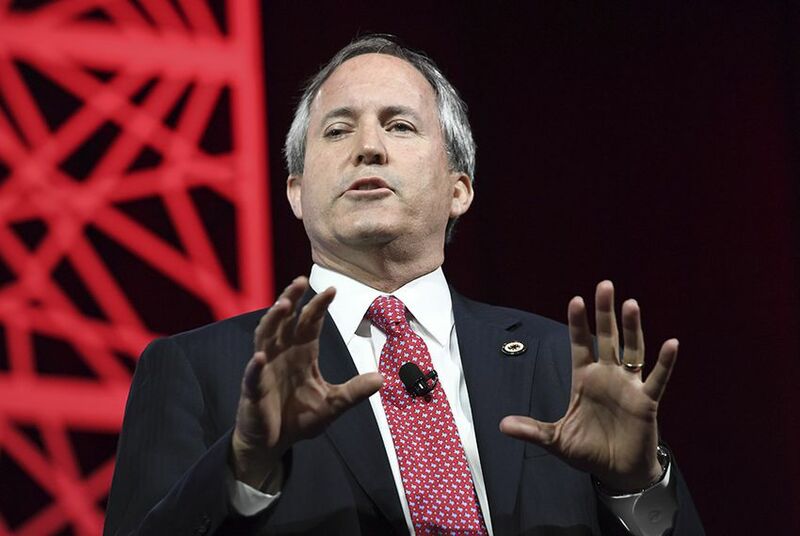 “Our review of the law concludes CSSB 4 is constitutional, there are viable methods for covered entities to avoid liability regarding invalid detainers, and the remainder of the legal concerns are unfounded,” Paxton wrote. Paxton's letter to senators prompted the partners of Kolly's firm to respond in kind, hoping their experience in this legal area would persuade undecided lawmakers that the bill both Gov. Greg Abbott and Lt. Gov. Dan Patrick have declared a priority of the session is not worth the effort. Senators were unfazed and passed the measure last week on a party-line, 20-11 vote, sending it to the lower chamber for consideration. Kolly said the attorneys will now try and convince House members to reject the bill, again pressing the argument that doing so would allow the state to avoid costly legal challenges and the possible erosion of Texans’ Fourth Amendment rights. “[Paxton’s assertions] are completely speculative, and case law is contrary to that speculation,” Kolly said. Paxton’s office declined to comment for this story. Among the issues likely to end up before a judge if SB 4 becomes law is the legality of the detainers that ICE often sends to county jails across the country regarding people held in custody. In his Feb. 6 letter, Paxton told state senators that that the jurisdiction of the case does not include Texas. He also predicted that the ruling will be reversed on appeal regardless because the Immigration and Nationality Act "provides for mandatory detention based on specified criteria” without needing to assess an individual’s flight risk potential. The immigration attorneys argued in response that Paxton didn’t provide any case law to back up his expectation of a reversal. “He is unable to cite any court that has ever found detention pursuant to an ICE detainer constitutional,” they wrote, adding that the section of the U.S. Code Paxton referenced only provides ICE the authority to detain inmates without proving they are a flight risk, not local law enforcement. If the Moreno decision is not reversed, Paxton said that ICE can simply include the flight-risk assessment or obtain a warrant. The attorneys said a better "constitutional safeguard" would be to require that ICE always obtain warrants for people it wants to detain. Paxton also argued in his letter that SB 4 would not violate an “anti-commandeering” statute in the 10th Amendment to the U.S. Constitution because ICE detainers are requests and not orders. "Courts have roundly considered both the language of the INA and the Tenth Amendment to require that detainers are requests — not commands," he wrote. The immigration attorneys shot back in their letter to lawmakers that the assertion "misses the point." "If a detainer is not mandatory, it does not provide any lawful authority for a county to continue detaining an inmate subject to the detainer," they wrote. Another case immigration attorneys said could be a factor is Mercado v. Dallas County, in which a federal court ruled last year that an ICE detainer didn’t provide probable cause to law enforcement to detain a person because probable cause is an issue relevant to criminal cases, while immigration is a civil matter. Kolly said Paxton's assertion doesn’t necessarily apply to state-based immigration enforcement because the ruling doesn’t give Texas law enforcement agencies that authority but instead affords it only to ICE when deportation is already assured. “So it doesn’t really have anything to do with detainers at all,” she said. Now that the Senate has approved the bill, it’s unclear how the Texas House will move forward and whether the heeding from the immigration lawyers will deter them. A companion version of the Senate measure, House bill 889, has been filed but as of Tuesday neither that bill nor SB 4 has been referred to a committee in the lower chamber. Before sending it to the House, Senate Republicans updated their bill banning sanctuary cities in Texas to cover college campuses. U.S. and Mexican authorities are pushing back against reports of recent widespread raids that have sown panic in immigrant communities. But the “targeted operation” appears to be the largest of its kind since President Trump took office.